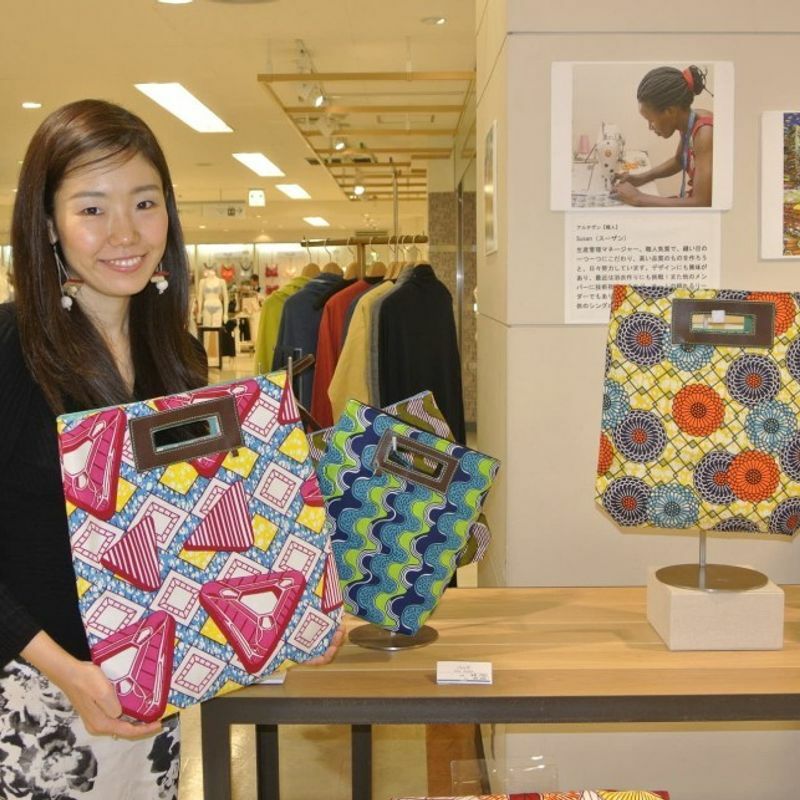 TOKYO - Colorful African-print bags handmade by struggling Ugandan women have attracted fashion-conscious Japanese who are also learning for the first time about the women's plight -- thanks to a scheme by a Japanese social entrepreneur to empower single mothers and former child soldiers in the country. 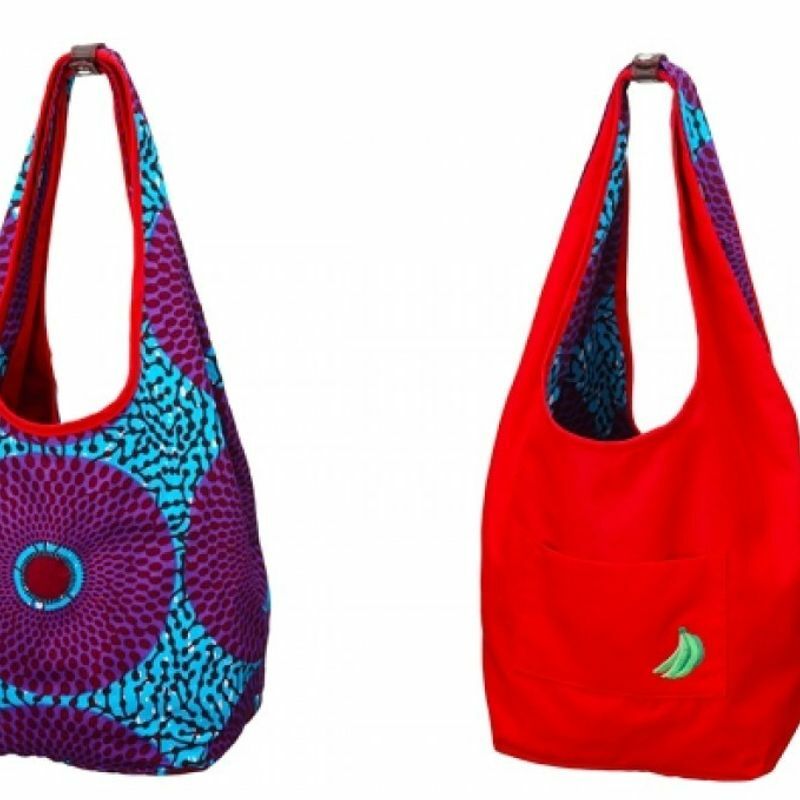 Bags made from batik fabric commonly seen in Africa feature vivid colors and dynamic designs with such motifs as geometric patterns, fish and birds. Since sales started in 2015, they have flown off shelves at Japan's upscale department stores and also online, welcomed by consumers looking for unique products. "Our main clients are middle-aged women who are mature consumers and looking for something new. They also sympathize with the stories behind our bag making," said Chizu Nakamoto, 33, who founded the bag brand Ricci Everyday and runs the business with Ugandans and her mother Ritsue. The brand's flagship Akello Bag is not only colorful but functional, as it can be used in four ways as a tote, handbag, shoulder bag and clutch bag. Its leather handle is hand-stitched by employees at a workshop in Kampala. In the native tongue, "akello" means "to bring good things." Priced at 10,000 yen ($93), the bag is less popular with young Japanese consumers who tend to prefer bags of well-known brands, and appeals more to middle-aged and older customers, Nakamoto said. "I was instantly attracted to the bag's colorfulness. I'll use it for work," said Yoshie Kondo, 59, who bought one of the Akello bags in mid-April at a department store of Sogo & Seibu Co. in the city of Saitama, north of Tokyo. The proceeds from bag sales have helped improve the livelihood of Ugandan staff, now numbering about 20 and a majority of whom are single mothers. Their salaries are twice the average paid in the country, according to Nakamoto. In the East African country, where a two-decades-long civil war ended with a peace deal in 2006, it is hard for those women to find a stable job and keep their children in school, especially in urban areas where living costs are higher and it is rare to receive support from relatives or neighbors, Nakamoto said. "Those single mothers had blamed themselves for being poor and had low self-esteem. But now their livelihoods have stabilized with higher incomes and they take pride in themselves," she said. 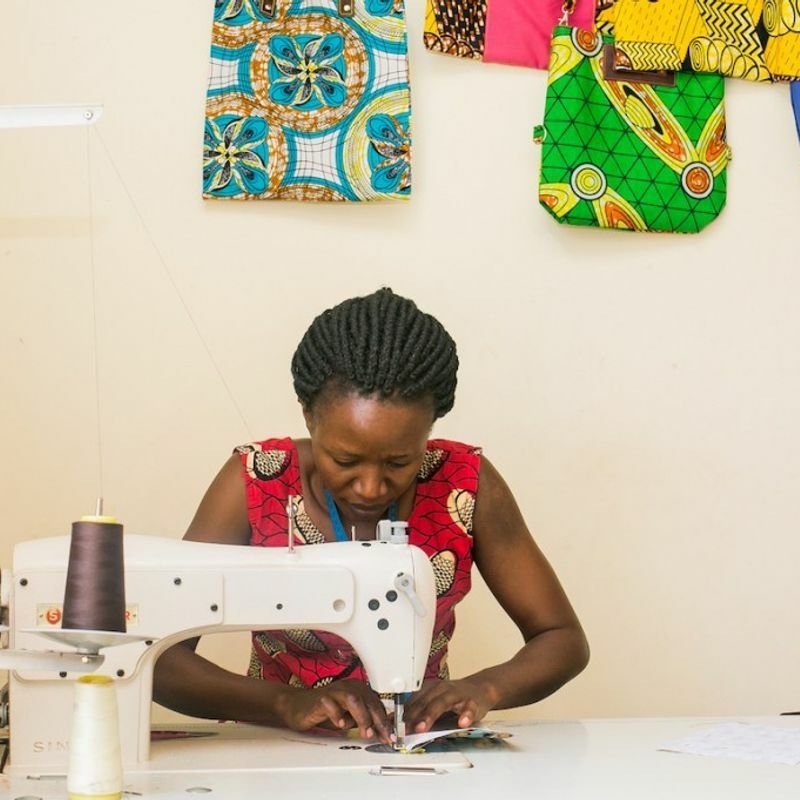 For Nakamoto, a former banker who worked in Uganda from 2014 as an aid worker, and her Ugandan business partners, launching the bag business was no easy task as a single mother with whom she started the project had to learn sewing from scratch. But after skilled artisans joined the team and repeated trial-and-error on African-print bag samples for six months, she eventually found "a ray of hope." "Japanese consumers value the functionality and durability of the products. Ugandan staff can satisfy 60 percent of the level required for bags sold in Japan, and I fill up the remaining 40 percent by pointing out where to fix things," the entrepreneur said. To assure customers of quality, Nakamoto's 60-year-old mother, co-head of the brand in Japan, double-checks the products before they are put on sale. So far, there have been no major issues with bag quality, said the businesswoman who travels back and forth between Japan and Uganda every two months. In addition to struggling local women, Ricci Everyday has also worked since last August in Uganda's northern region of Gulu with former child soldiers who returned to their hometown after being forced to fight by rebels. 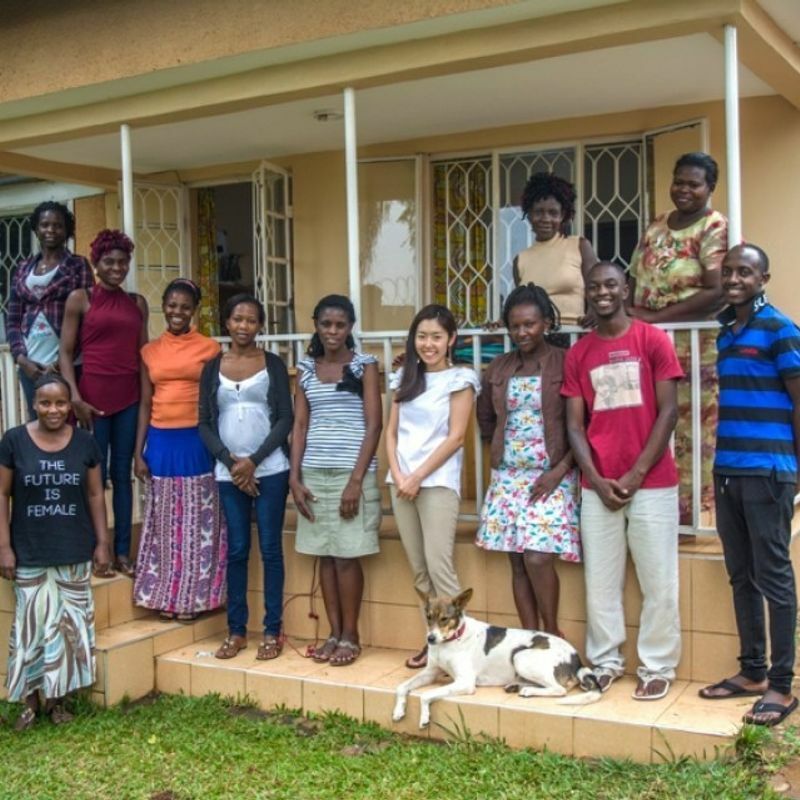 Cooperating with Japanese aid group Terra Renaissance, which supports Ugandans' reintegration into civil society, Nakamoto offered tailoring training to 19 former child soldiers in their 20s and jointly developed a tote bag bearing bananas embroidered by machine. Sales of the tote, priced at 5,940 yen, began in mid-April through Japanese mail-order firm Cataloghouse Ltd.
"Some of those former child soldiers returned home more than 10 years after being kidnapped by the rebels. They are illiterate, suffer from stigma and are often rejected by their own family members so we help them acquire skills to earn a living," Nakamoto said. Despite the civil war ending in Uganda, rebels have been hiding out in jungles in the neighboring Democratic Republic of the Congo and the Central African Republic, and the returnees are usually those who suffered injuries and surrendered to government forces, she said. Nakamoto, who had been interested in Africa since she was little, came a step closer to her dream of working on the continent after she became keenly aware of life's fragility in March 2011, when a major earthquake and tsunami devastated northeastern Japan. The experience prompted her to pursue her goal. Leaving her job at Japan's largest bank, the then-Bank of Tokyo-Mitsubishi UFJ, she landed a position at the Sasakawa Africa Association, a Japanese group supporting African farmers. 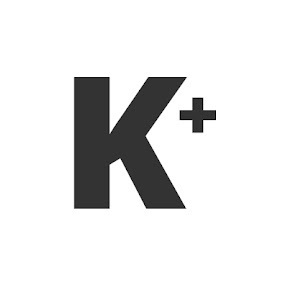 While working for its Tokyo office, she also did pro bono work for a Japanese start-up manufacturing and selling leather bags made from Ethiopian sheep skin and "learned the ABCs of fashion business there," Nakamoto said. "As a banker, I sometimes felt it meaningless to only ask the rich to borrow money and being harsh on the poor. As an aid worker, I also witnessed problems such as financial assistance preventing aid recipients from standing on their own feet and a hierarchical relation between donors and recipients," she said. "Now that I'm engaged in business, I have a fifty-fifty relationship with my Ugandan partners. I offer work and they make bags. We depend on each other," Nakamoto said. Nakamoto has won several domestic awards for her start-up, and was also selected as one of 27 global competitors to pitch for a share of this year's "Chivas Venture" $1 million fund, set up by Scotch whiskey maker Chivas Brothers, a unit of Pernod Ricard S.A. of France. Winning the funding in a process culminating in a final pitch in the Netherlands in late May would allow Nakamoto to open a Tokyo showroom for Ricci Everyday where people can learn the stories behind the bags. So far, the products have only been sold at pop-up stores in Japan and at permanent outlets in Kampala. Looking ahead, she hopes to expand to cities in Australia, California and Kenya, as well as Hawaii and London. "Our bright-colored products do not sell well in the fall-winter season, so it would be reasonable to have sales channels in the Southern Hemisphere or tropical areas," she said.